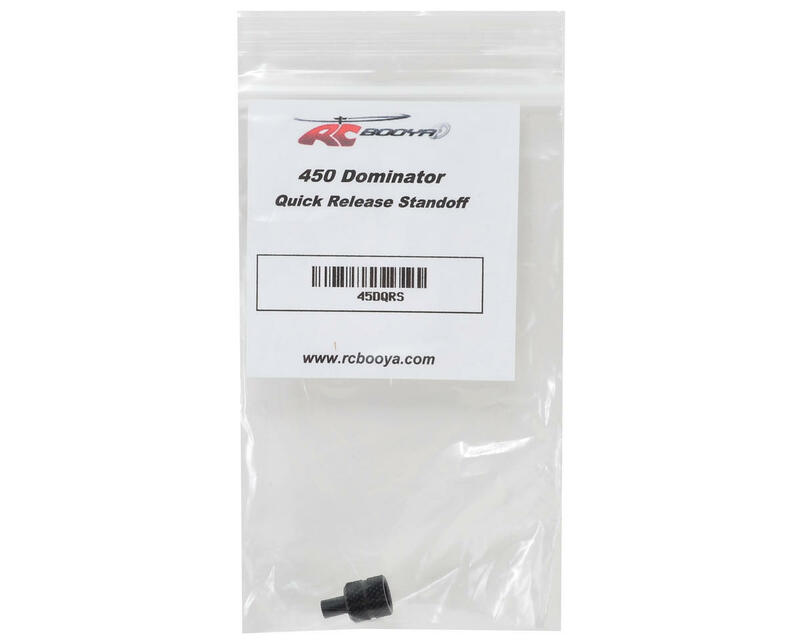 This is a replacement RCBooya T-REX 450L Dominator Quick Release Standoff. 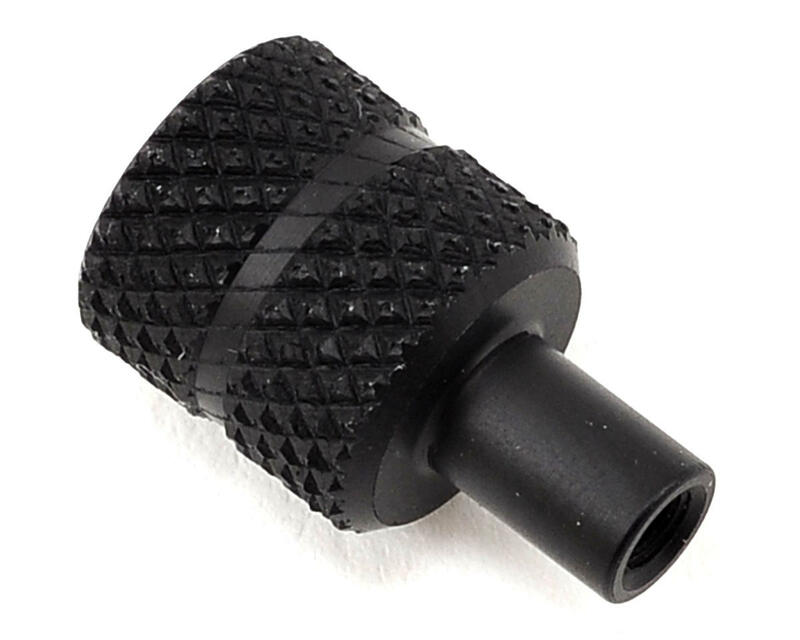 Standoff is made from 6061-T6 aluminum, hardcoated and dyed black to provide a durable finish. This replacement standoff is compatible with the optional RCBooya T-REX 450L Dominator Quick Release Canopy Mounts (RCB45DQRCM). Package includes one standoff.